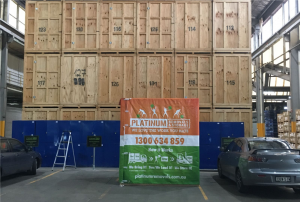 Platinum Storage and Removals offers all of our customers the usage of industrially strong storage units for their personal storage, ideal when you’re relocating. Home removals and storage space go together hand in hand to make your move easier! Perhaps you are looking at different lease times or there’s a bit of a hiccup in between the completion of your house build or renovations, sometimes, it’s a good idea to put some of your furniture and belongings into safe keeping so that you can handle one thing at a time! Our storage costs and storage rates are some of the most reasonable in the market, and especially if you are utilising both our moving and storage services in tandem you can be guaranteed that you will see some excellent storage unit prices in comparison to some of the stand alone self storage companies available in the area. Our storage solutions incorporate hardy and sturdy, yet airy and fresh self storage units so that you don’t have to worry about the upholstery on your furniture or even your clothes coming out of self storage smelling stale and musty. Being made of strong plywood, the storage units are able to keep every single box and package of items in just the right conditions to maintain the quality of your items just as they were when they were put inside. We ensure you that all of your belongings will be safe and secure inside our storage units for however long you have left them in our care! 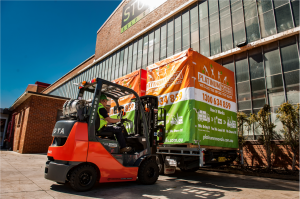 The Platinum Storage and Removals’ removalists are all professional and well-trained and when you have hired one of our mobile storage pods, all your furniture items will be wrapped in blankets or furniture padding to further ensure the protection of any of your more breakable or fragile items. Even the wooden items in your home will be safe from scuffs and scratches when they have been bundled up! We also provide plasma crates for your flat screen televisions or mirrors to really give you the peace of mind that these expensive items will be handled with the utmost delicacy while we are helping you to transport these items into storage. Trust us to help you take care of all of the odds and ends while you are working out the rest of the administration and overseeing of your home move. When you are ready to really and truly move in, just give us a call and we’ll bring our mobile storage pods directly to your new home or office so that you can unload and move around all the items to exactly where you want them. Make use of our complete moving service and find out more about the storage space that is available to you through our services. Our job is to ensure that you are able to move with as little disruptions and hiccups as possible! Platinum Storage and Removals gives you our hand over our hearts that we will take every request seriously and give you our dedication in ensuring your move happens with as little or as much involvement as you’d like and that includes the movement of all your items in storage too! 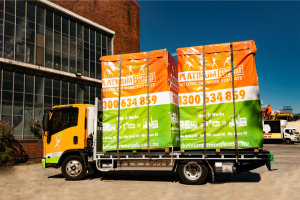 Call Platinum Storage and Removals today to settle all of your removals and short term storage needs!